Oil on canvas 22" x 32" in floating frame. 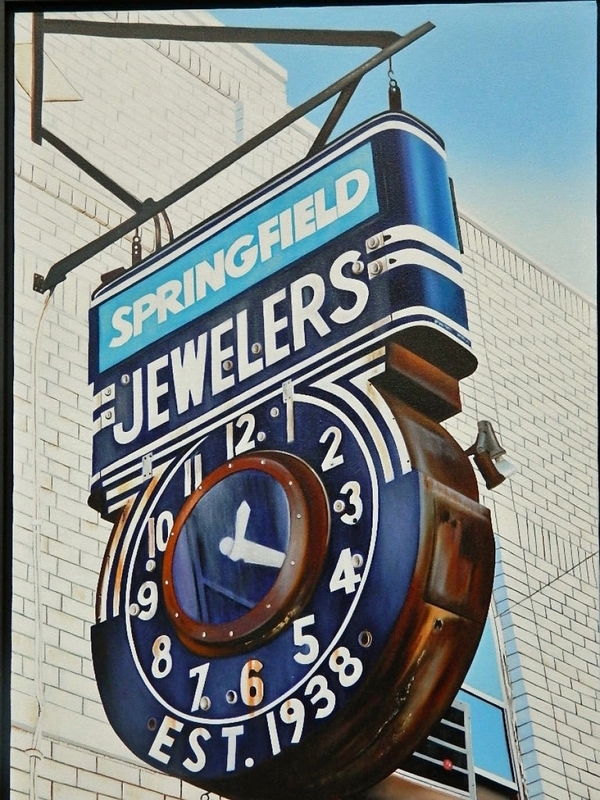 Great 1938 art deco example of neon clock. Was in Springfield New Jersey but was taken down about five years ago.